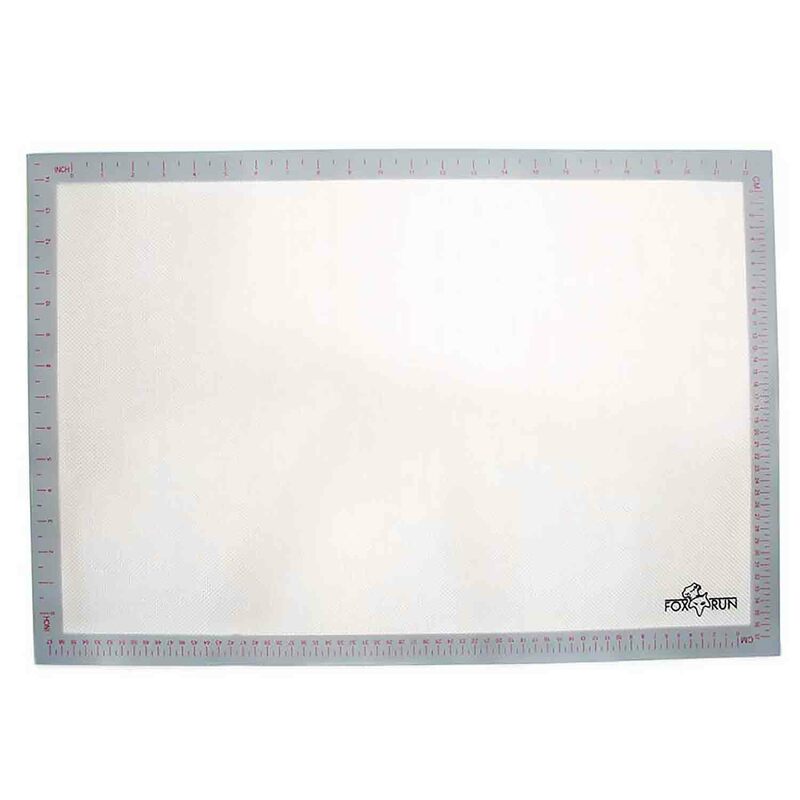 Brand: Fox Run FR-4723 Units: 1 Dimensions: 16½" wide x 24½" long Terrific price for this non-stick silicone baking mat. This mat is designed for all oven types and provides even heat distribution to baked items. Made from food grade silicone reinforced with glass weave. A bonus: inches and cm are marked on the sides of the mat. Terrific price for this non-stick silicone baking mat. This mat is designed for all oven types and provides even heat distribution to baked items. Made from food grade silicone reinforced with glass weave. A bonus: inches and cm are marked on the sides of the mat.